Baby Crying Feeding : Babys With Blue Eyes : How To Disinfect Baby Toys. How we raise our children differs greatly from society to society, with many cultures responding differently to such questions as how a parent should respond to a crying child, how often a baby should be nursed, and at what age a child should learn to sleep alone. Ethnopediatrics--the study of parents, children, and child rearing across cultures--is the subject of anthropologist Meredith F. Small's thorough and fascinating book Our Babies, Ourselves. Baby cries. Thin vial of blood. At last all is well. This morning, after quite a long night of constant feeding, we head to the doctor's office instead of the ER (thankfully) for a follow-up bilirubin test. Tristan was doing much better this morning, which was borne out by the results in the late afternoon: his levels were at 16.2 milligrams/dL yesterday, and dropped to 12.8 today. After a night of reading medical journal articles between feedings, I finally have a rudimentary grasp of the numbers and their meaning, the difference between pathological and hemolytic hyperbilirubinemia and the way doctors make judgements about treatment courses based on the number of hours out from delivery. Ultimately, it was a marked improvement (25% change), and a real relief—though we were already convinced of the extra feedings' efficacy because of his alert demeanor. As I said in yesterdays early morning update, I never thought I'd be so happy to hear a baby cry with gusto! The nurses were really nice, and after the ER (although the doctors at St. Luke's Pediatric Emergency Care were awesome; a crackerjack team working in a very uninviting and difficult environment) the pediatrician's office felt calm, luxurious and clean. We came home and continued our feeding regimen. I had built a chart overnight (not entirely dissimilar from a chart I made for Movie—although I had more time for Movie's chart, so it was color-coded), which we also continued to diligently fill out. Jules ran a few errands during the afternoon, stopping at the "Upper Breast Side" for a bunch of breast-pumping gear—she was incredibly pleased with the "mom and pop" atmosphere of the store, the service and their products. I cleaned the house, changed a ton of diapers, and generally tried to make her life a bit easier. She's really bearing the burden of constant breastfeeding like a champ. Maybe that can change a little once she starts pumping. In the evening, Jack and Gail and Gretchen came by for a quick visit before Jack headed back to Amsterdam. He joked that Jamie is way ahead of the game: "I've never seen a baby get out of his own brit before. Really. He's a genius." Mostly Julie and I were tired, but happy our kid was eating, pooping, sleeping and crying like every other newborn out there. Now, if we could just figure out how to get a little extra sleep ourselves. One day, when we were visiting some child-headed households, a group of kids followed us demanding that we take their photo. As they chanted "pho-ti pho-ti," this little one was pushed out by the bigger kids. She ran to her mother, who came out to find out what was going on. While she was in her mother's arms, I took a photo of her and showed it to her on the little screen of my camera. This photo captures her reaction when she saw herself. Immediately her tears turned to laughter! Playtex drop-Ins system: We call it baby's intuition: it's the sucking, swallowing, and breathing rhythm that comes naturally to breastfeeding babies. It's also the inspiration for our drop-Ins system - clinically shown to deliver an experience closest to breastfeeding. Playtex drop-in liners are the pre-formed liners that go inside the Playtex drop-in nursers. Easy to use, Playtex Drop-Ins Liners provide your baby with a safe, comfortable way to enjoy bottle-feeding. The disposable liner collapses as your child drinks, providing air-free feeding and greatly reducing gas and messy spit-ups. Each liner fits conveniently within a bottle, so you can prepare a meal quickly. 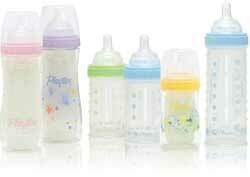 Drop-Ins Liners are BPA-free and clinically shown to mimic natural breastfeeding, so babies feel secure as they eat. Designed for air-free feeding, Drop-Ins Liners are ideal for creating a comfortable feeding experience for little ones and their parents. Clinically proven to reduce gas and colic in babies, the BPA-free liners collapse slowly during feeding and eliminate any air bubbles from mixing with the liquid to help prevent spit-ups. A variety of convenient sizes allows you to use the Drop-Ins Nurser system from the newborn stage up to the toddler years. 100 Playtex Drop-Ins Liners, 8-Ounces.